From Greenfield developments to expansion or upgrade of existing facilities, we interpret the client’s brief and then develop conceptual plans for review. 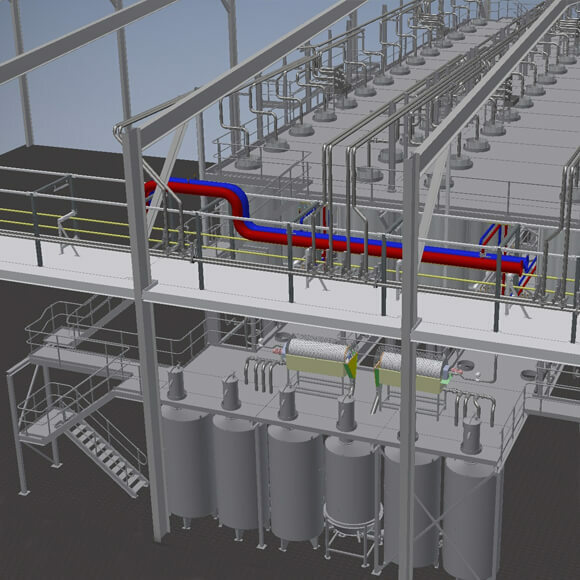 For complicated installations we have the capacity to employ 3D modelling if required. An important aspect in the planning of any project is the budget and timeline. Early in the project we prepare budget estimates and a timeline to assist the client in making important feasibility decisions. From there on, the budget progresses to a more detailed cost estimate once the scope is determined. We can assist clients with the process of obtaining Statutory approvals, from planning through to building approvals and final certification. We are experienced in guiding our clients through both local council and State Government approvals as well as sensitive environmental approvals and compliance. With our team of experts, we can provide multi-disciplined design for all your project needs including Architectural, Civil, Structural, Electrical, Automation, Building services, Waste Water treatment and Mechanical equipment installations. Our documentation is typically produced in trade-specific packages to streamline the construction process. Equipment selection and procurement can be time consuming and difficult. We work closely with our clients to specify and select the most suitable equipment for your project. We are not aligned with suppliers so retain independence to select the right equipment from both Australian and international manufacturers. Our strength is the development and management of projects from the conceptual stage through to handover. Managing the budget and program, we document and tender the works and then assist the client with the coordination of the construction phase. We work closely with our clients to maintain the schedule and to keep the project on budget while ensuring the work is completed in accordance with the specifications.